Nanaimo, Qualicum Beach, Parksville and Ladysmith. Why is My Heat Pump Leaking? How do you know if your heat pump will be in need of repair? There are quite a few warning signs to keep in mind. Your heat pump may be leaking refrigerant or coolant but that is something you would not see because refrigerant evaporates almost immediately once it touches the open air. If it is leaking refrigerant let the experts check it out. If your heat pump or furnace is leaking water then there are a few things it could be and the best solution is to call your technician. If you are having an issue with your furnace, fireplace or heat pump FlameWright is here to help the home owner Nanaimo whenever they need it. Our many years of experience has made us excellent at troubleshooting heating and air conditioning issues and quickly finding a solution. Do you find that you are paying a significant amount on your energy bill? Flamewright Services Ltd can help you with that. After an inspection one of our technicians will be able to tell you if your heating system is working as efficiently as it should or if there are ways to increase your systems effectiveness and thus save you money. If you have an older system the problem may be that your current system is becoming run down. Thanks to new advances in the industry modern furnace and heat pumps systems are much more energy efficient than older units. You can even have some systems connected to your smart phone so that you can keep the system at a minimum and turn it back on when you are returning home or starting the business day. 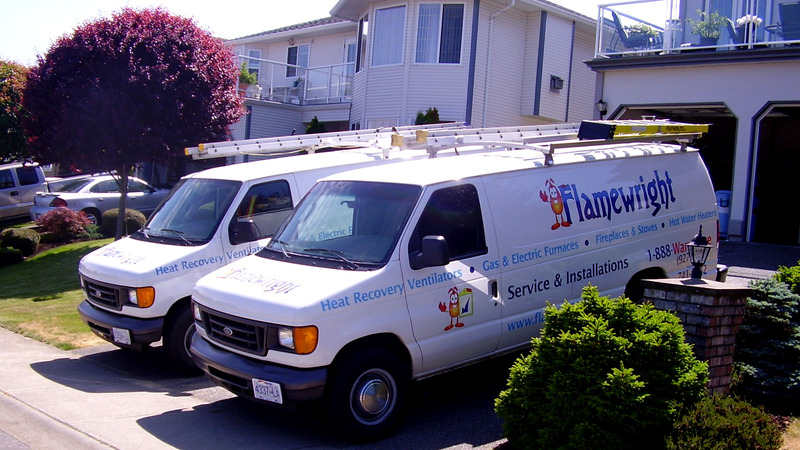 If you live in Nanaimo and need repairs on your HVAC unit or want help figuring out the most money saving advantages on the market, then give FlameWright a call. All information provided is provided for information purposes only and does not constitute a legal contract between Flamewright Services Ltd and any person or entity unless otherwise specified. Information is subject to change without prior notice. Although every reasonable effort is made to present current and accurate information, LinkNow™ Media makes no guarantees of any kind.